love it and what it knows ?? 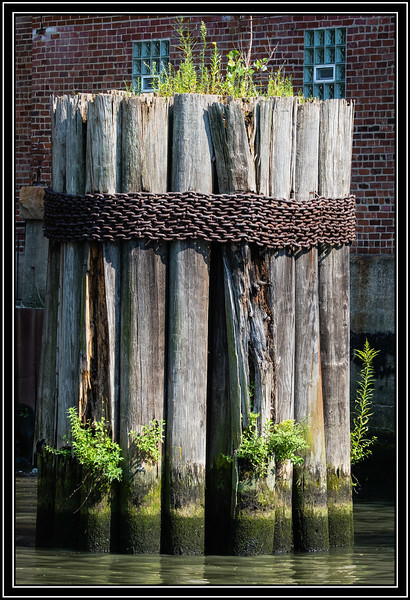 Very interesting to see the adventitious plants using the pilings themselves as 'dirt'. Nice find, certainly something else !! As you said, if only it could talk !! So nice! I love Navy Pier in Chicago - heck I like Chicago a lot. One of my favorite cities.